MISTAKES, we all make them every day. However for drivers the consequences of even the tiniest error, have the potential to be monstrous, or at the very least extremely costly - even if its just a spelling mistake. While the responsibility carried by our road transport community is great, many industry bodies and drivers themselves continue to question the fairness behind exorbitant fines, for log book errors. The latest wave of outcry came as driver Russell Silk was whopped with a $23,000 fine and 33 demerit points after he was charged with a total of 21 offences. Mr Silk, a 53-year-old driver from Currans Hill in New South Wales, appeared in Albury Local Court on charges, ranging from critical to minor rest work offences. Between the February 3 and April 8 last year, he was found to have committed six critical risk work and rest hour offences and three severe risk work and rest hour offences. He had also committed two substantial risk work and rest hour offences and seven minor risk work and rest hour offences. Police also identified that the driver had made false and misleading work diary entries. As shocking as the penalty was, Russell is hardly the first to have been hit with a fine so significant. Earlier this month, a driver who had been in the game for three decades and hit with a $1200 log book fine, in court he described the system as just "bulls**t". He questioned several typos on his police paperwork, including an incorrect registration number, and asked why he would have to suffer for a similar clerical error. Earlier this year, a 44-year-old truckie has received $17,500 in fines with $900 in costs after a Goulburn magistrate found him guilty of making five false or misleading entries in his work diary. In 2014, a Springfield truckie couldn't believe his eyes when he opened a letter from the Lithgow Courthouse for $10,000 in fines. He was booked by police at a weighbridge for only having five hours' rest instead of seven in a continuous block. In 2011, a Victorian truck driver was fined $8500 for a critical breach of driver fatigue laws as he drove across the country after he was detected by a Safe-T-Cam. He recorded 18 hours' work in a 24-hour period, six hours more than the legislated maximum of 12 hours. Even a 56-year-old Cowra farmer was stung with a $200 fine and $450 in professional costs after being charged with driving at critical risk. The farmer, who rarely drove, said he was "rusty" with the log book, when checks revealed he'd only had five hours' rest since 10.30pm the night before. 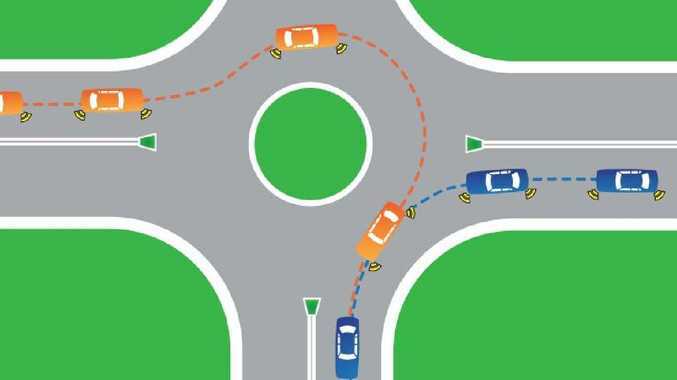 Associate at Armstrong Legal in Traffic and Criminal Law Sarah Marinovic said while some fines are large, more often than not drivers are not hit with the maximum penalty. "The reason they fine and prosecute on these ones even when there isn't a direct injury to someone is that they need to be able to send an message to the industry that this is not about waiting for the injury to happen and punish at that stage," she explains. However, after looking into NSW statistics for fatigue related offences, she found major fines for a single offence are quite rare. "Most when I look at the averages work out to $500 and $2000 fines for critical risk offences when failing to take a rest break." A number that could still add up if a driver is accused of more than one misdemeanour. "In terms of guilty or not guilty, very rarely will that come into consideration, when it comes to sentencing though the courts do have enormous discretion," she said. "In my experience, where its an honest mistake and in the context of someone who hasn't had one of these before, or maybe has had one previously with a good explanation for why this time is different, there is actually a lot of scope for the court to be lenient. "The statistics I have looked at for these driver fatigue offences show fines range from anywhere about 15% of the maximum penalty to 45%. While the courts may use their discretion, industry groups are still asking why such a complex system has maximum penalties set so high. Recently, the ATA used a sample work diary page to demonstrate to a government department just how confusing and paperwork heavy the industry is. "In our recent evidence to the Senate road safety inquiry, we also pointed out that drivers do not get enough training in fatigue management (including using work diaries)," ATA's Bill McKinley said. Separately, NatRoad has called on the National Heavy Vehicle fatigue rules "to be urgently reviewed". "Truck drivers face exorbitant fines on a daily basis due to these prescriptive rules. In reality, the rules are so complex that mistakes are easily made. Fines in the hundreds of dollars for administrative mistakes don't increase road safety," the spokesman said. "Due to the highly detailed nature of these laws, training on the work and rest requirements is essential for drivers and, for the future, should be part of heavy vehicle driver licensing." The last review into the situation came in 2012, when significant moves were made by the industry to revise the national work diary and improve usability by removing redundant requirements. 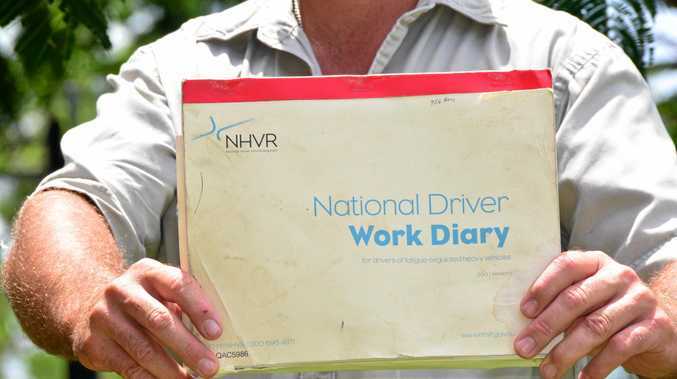 Since the revision, the NHVR contends the information a driver needs to know in order to use the diary and comply with the fatigue management laws are continued in the introduction pages. If a driver has any difficulty understanding the instructions, they have the opportunity to call NHVR for assistance, or pursue the Department of Education's Workplace English Language and Literacy (WELL) Program, which offers a unit on the diary, the Complete a work diary in the road transport industry. Federal funding has been provided to Transport and Distribution Training Victoria to for the production of a Written Work Diary training video, and the government contends the Heavy Vehicle Safety and Productivity Programme, which will receive $40million each year from 2021-22 on top of the current $328million will play its part. Minister for Transport Darren Chester said current system though enforced by the states, is all about fatigue management. "The imposition of fines is just one way driver fatigue is managed, with the consequences of non-compliance, including the financial cost of infringements, based on the calculation of risk - if you are a repeat offender, the impact of non-compliance will be greater," he said.